Our doctors have over 20 years experience in lip augmentation procedures and offer a subtle plumping of lips to leave a full-bodied, youthful appearance. In our experience, the vast majority of people are looking for a gentle re-volumisation of lips that may have thinned with the passage of time. Our products achieved excellent results.A lip filler that contains a local anaesthetic to minimise discomfort during the procedure. It comes in a 0.55ml syringe and we are careful to make sure the treatment is likely to give a pleasing aesthetic result and that each client’s expectations are realistic. 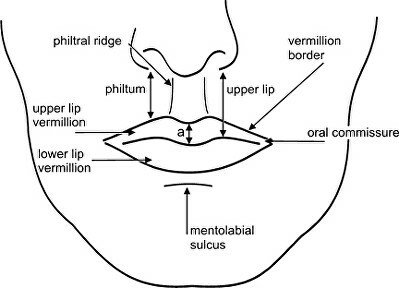 There are two parts of each lip that can be injected – the actual lip BODY and the outer rim, known as the VERMILLION BORDER. Our doctors and aesthetics co-ordinators will work out, with you, depending on the look you wish to achieve, which parts of the lip would benefit most from treatment and how much lip filler is likely to be needed to achieve the desired result. Please remember that after treatment there is ALWAYS some swelling of the lips, therefore the lips will initially look bigger than the final result once the swelling has subsided a couple of days later. Why do lips thin with age? Over time, the lips’ volume and natural connective tissue depletes, leaving a thinner, flatter appearance. Wrinkles and fine lines compromise their smooth look, and the vermillion borders and Cupid’s bow become less defined. Around the mouth, the area between your upper lip and nose can become flattened, and the corners of the mouth may turn downward, creating a tired, aged appearance. Our products provide full, soft, natural looking lips and can be used to smooth fine lines and enhance the mouth area as well as the lips. It is gentle, with an added anaesthetic for the most comfortable treatment experience possible. Treatment helps fight the signs of aging, by addressing the lips’ texture and smoothness and filling the lines and wrinkles caused by smoking and pursing your lips over time, and by adding volume for a fresh, natural, and reinvigorated look. First, the doctor will take pre-treatment photographs of the lips and will then clean the area to be treated. As the anaesthetic takes effect you are likely to feel numbness and a bit of tingling in the area that has been treated—similar to when the dentist numbs your teeth. The actual treatment takes roughly 15 minutes. 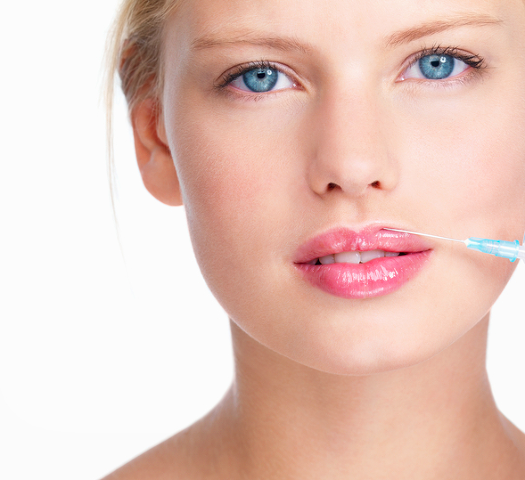 The exact injection technique will depend on the type of results you’re hoping to achieve. The doctor may massage the treatment site to make sure the liquid is properly distributed and the results are even. The doctor may also apply ice to your treatment sites for a few minutes to help minimise swelling, inflammation, and bruising. As per a study, over 78% of those treated maintained the improvement for more than a year after a single treatment! As with any treatment that involves injections, there are a few reversible risks. As with any dermal filler, inflammatory reactions (redness, swelling, etc. ), along with irritation or pain upon application of pressure, may occur after the initial injection. These reactions are typically temporary in nature. Lumps or nodules may appear at the injection site and it is very common to be able to feel the “lumpiness” with your tongue even though it is not visible to others. Bruising is common and this can be severed, however, it will resolve with the passage of time and the end result will be unaffected. Very rare cases of reversible colouring at the injection area have been reported. Immediately after lip enhancement treatment, it is likely you may experience some temporary bruising, discolouration, or swelling. No smoking, pursing lips or kissing (for 24 hours).